In the life of a toddler, play is king. Even the simplest of games are useful in learning important skills, and when you think about how many times your toddler plays each day – their waking hours hold huge opportunities for learning. We’re exploring the power of play, and have sourced a range of toddler toys that can help foster vital skills. Toddlers don’t have the vocabulary to articulate what they need, want and feel. That’s why play is so important – it gives them a way to express themselves (and of course, it’s fun!). Different types of games allow toddlers to sharpen certain skills and learn to be in control. Your toddler doesn’t need to know the finer details of physics or mathematical equations, but certain types of play are a great introduction to the science and maths field. From measuring and water play, to using their little minds to sort out simple problems, science and maths-based play comes in all shapes and sizes. The Imaginarium Giant Bead Maze Activity Cube is brilliant for busy little minds. The numbers and mazes are all part of science-based learning. 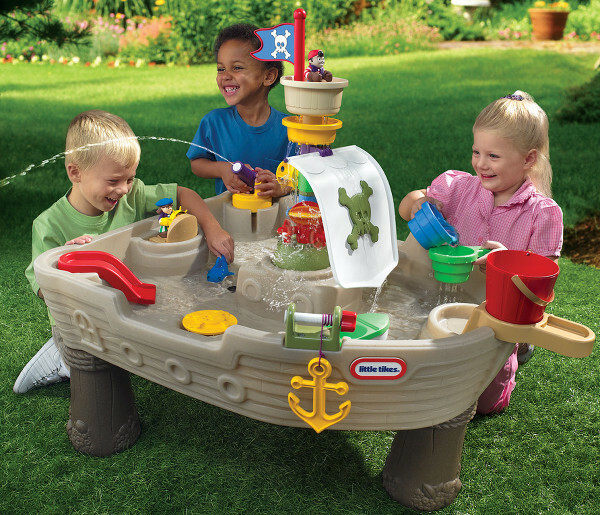 Using water to move objects is a great experiment, and toddlers can do it for themselves for hours with the Little Tikes Anchors Away Pirate Ship Water Table. 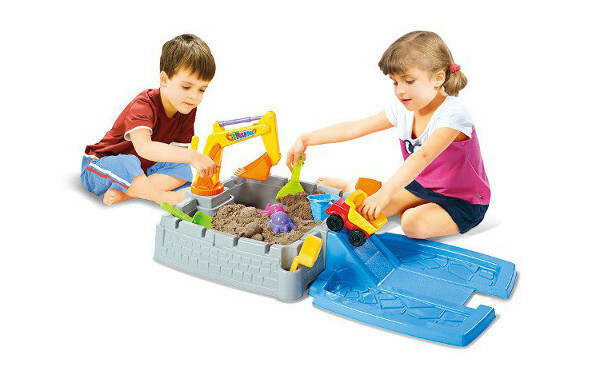 Measuring and constructing with sand is another stealthy way that toddlers can learn about science – and it’s made incredibly fun by using the Sizzlin’ Cool Big Construction Sand Box. Watch a toddler for just a few minutes, and you’ll realise just how much they live in their own little world. And this world is fuelled by their imaginations. The more experiences they’re exposed to, the more they flex their imaginative muscles. They draw on their feelings and creativity to create an entire world that only exists in their minds. Creative toys that can be changed, or games that use the imagination like dress up costumes, play dough, drawing and playing with dolls or trucks, are great for growing imaginations. 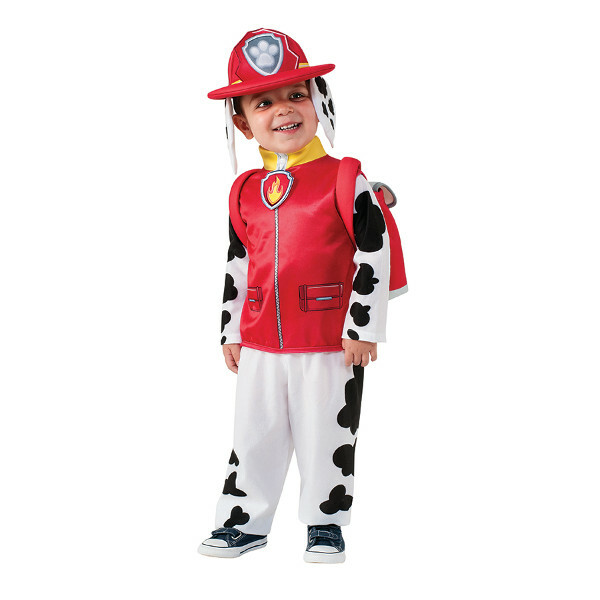 This gorgeous Paw Patrol Marshall Costume is just the ticket – toddlers can even link what they’ve learnt watching the television show with their own games. Playing with dolls is an ever present part of childhood, and boys and girls still love pretending to be mums and dads, with dolls like the You & Me Kissing Doll. 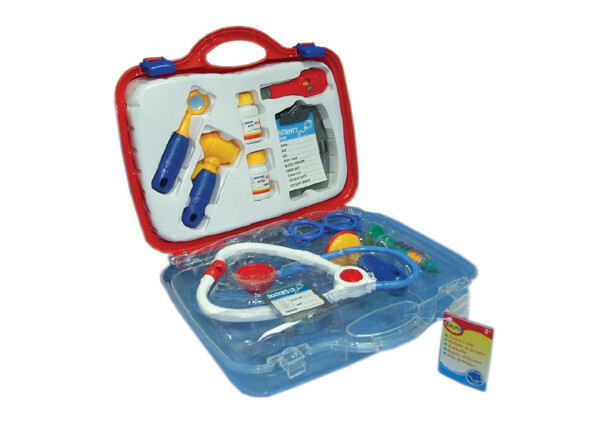 Likewise, the Bruin Doctor’s Set is just the thing for any prospective surgeons, and playing doctors can also help ease worries about going to the doctor that your child may have. Using certain muscles helps toddlers down the track, when they are learning to write and play sport. Games that help build strength, and teach good movement and co-ordination all help little ones with more difficult skills in the future. This is where outdoor play comes into its own. 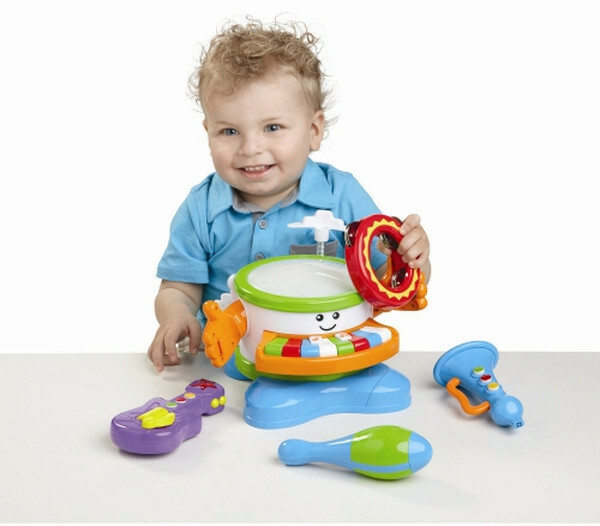 Choose toys and games that will get your toddlers moving and grooving! 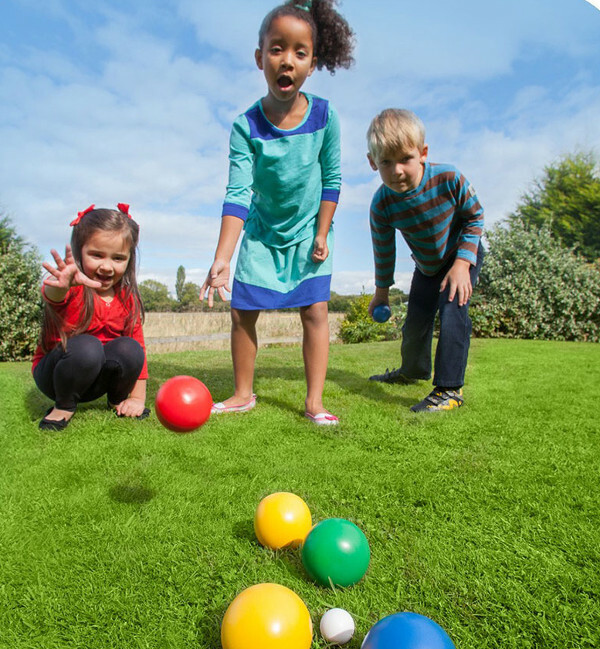 Lawns bowls isn’t just the domain of the blue rinse set – this fun game will help older toddlers improve their ability to judge distance while using lots of muscles to bend and stretch. The Plum Garden Boules Set is great for those just heading towards the end of toddlerhood. 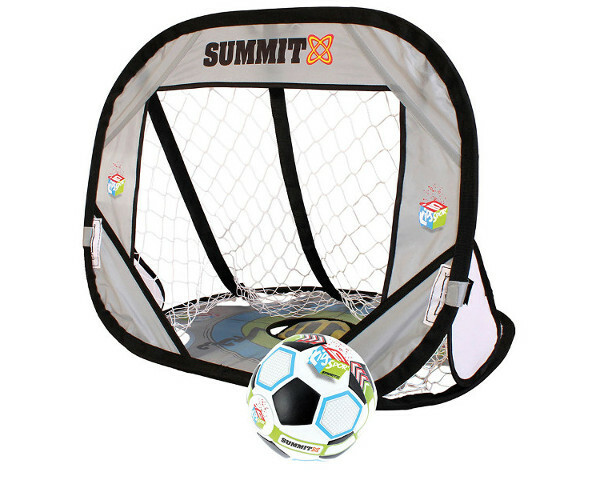 Ball games are ideal to get the kids moving, while honing their co-ordination – so combine the two with a Kids In Sport Soccer Set. If you have the room in your backyard, creating your own playground is ideal. It gives toddlers the ultimate safe space to test out their co-ordination skills. 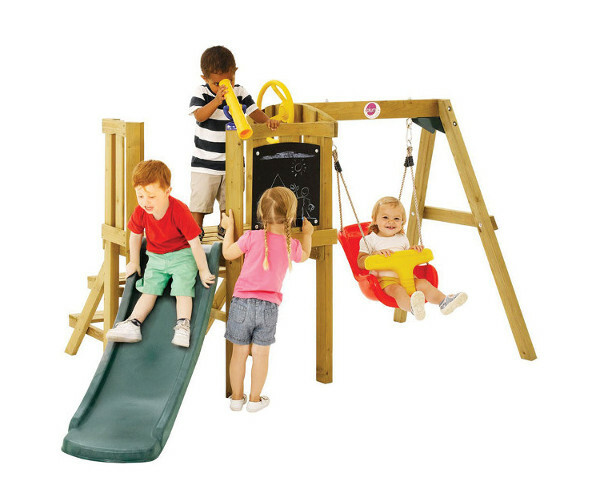 The Plum Toddler Tower Play Centre has been specially designed with little ones in mind, giving them an activity centre including a blackboard and picnic bench. Most parents of toddlers would laugh at the suggestion their toddlers will actually listen for any length of time – but they may just surprise you if, instead of talking, they hear music. Appreciating music is important for toddlers to learn about rhythm and listening. You and your toddler can make beautiful music together using things you find around the home – or if you prefer your music a little sweeter, using child-friendly instruments. 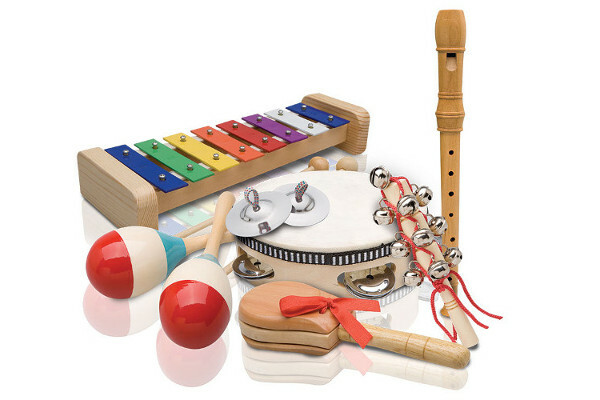 The Playmaker Large Mixed Percussion Set has a bunch of different instruments, created especially to help little hands practise their motor skills. For young toddlers, just being introduced to music, try the Bruin 6-in-1 Musical Band. Colourful and musical, it’s a sensory delight. The way things work, how they’re put together and why they do what they do are all questions little ones are asking themselves (and you!). Playing with certain toys promotes logical skills. Building, shape sorting, organising and puzzles all help develop logic. 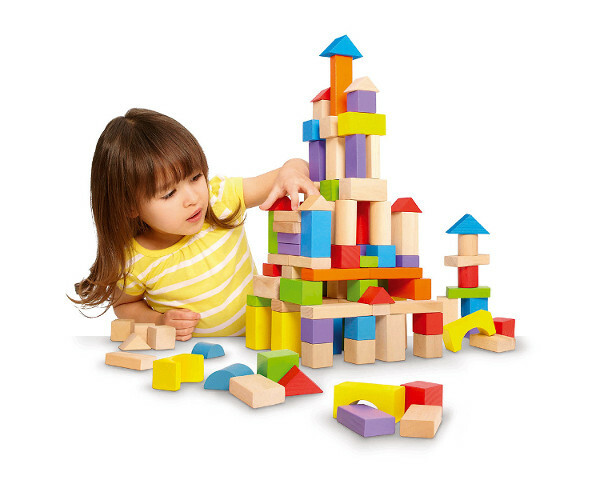 Build it up, build it up, build it higher with this 150 piece building block set from Imaginarium. 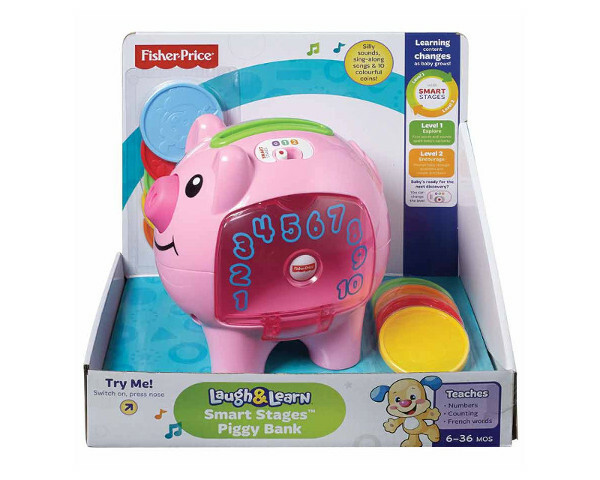 The Fisher-Price Laugh & Learn Smart Stages Piggy Bank gives toddlers the chance to practise organising. Games can help toddlers learn the importance of sharing, taking turns and playing with others. Obviously any type of board game is a great way to teach children to share, but toddlers aren’t quite at the stage that they can grasp the rules of these sorts of games. 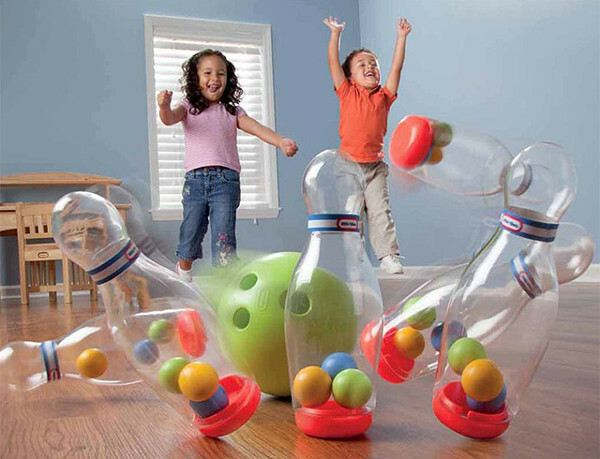 However, you can use a variety of toys to create your own toddler-friendly game, that involves turn taking and sharing. Set up your own bowling alley with this Little Tikes set, draw up game cards, and show your toddler how to wait their turn. 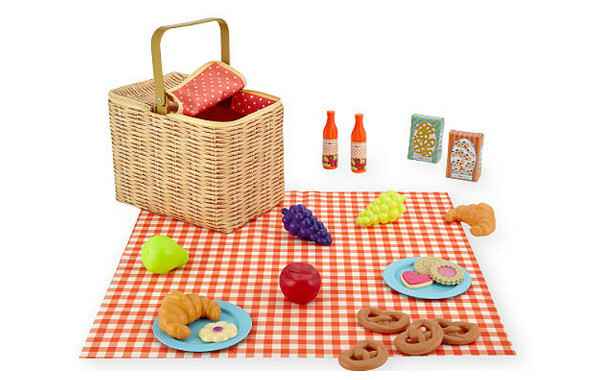 Or set up a play date, and get your toddler to create lunch with the Just Like Home Picnic Set, to teach them how to play well with others. For even more toddler toys that will help your child learn through play, take a browse at Toys R Us.